Car companies aren’t typically held up as bastions of environmental protection – especially after the Volkswagen emissions scandal a few years ago. Sure they’ve all introduced electric or hybrid models these days, but most of the cars on the road today are no friends of the climate. Volvo, however, has a recent history of appearing to be more planet-friendly than other automotive giants, with a number of initiatives and commitments around tackling climate change and electrifying the output of its assembly line. Now, with its latest campaign, Volvo has put its focus on the fight against plastics, and has made protecting the oceans the latest stage to tell its sustainability story upon. 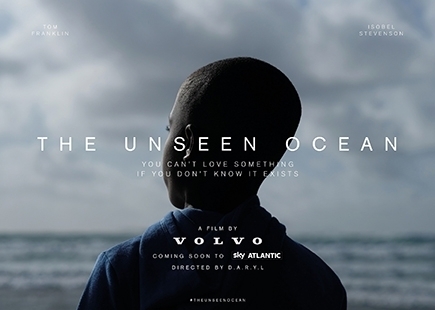 Whilst plastic waste is a huge, global issue, Volvo took a decidedly intimate, human approach with its Unseen Ocean campaign. At the heart of the campaign is a short film made in partnership with, and broadcast on, Sky Atlantic. 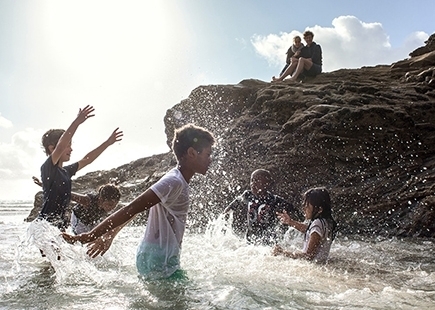 It focuses on a primary school teacher who runs a programme to get inner-city kids that have never seen the sea to experience it for the first time – and ultimately understand the importance of protecting it. Underpinning the campaign are Volvo’s various plastic pledges, from ensuring 25% of the plastic in its cars are made from recycled materials by 2025 (currently it’s 5%), to eliminating single-use plastics from all Volvo offices this year. 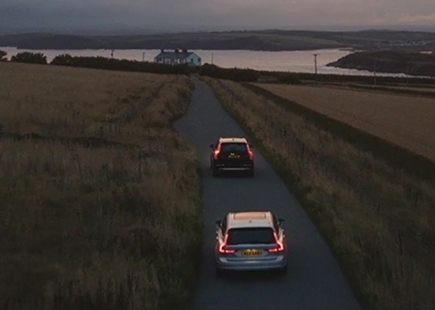 Volvo made a campaign hub where the film can be watched and additional information about it can be read. It also created a children’s book with charming illustrations telling the story of a little boy who wakes up to find the ocean gone. All the proceeds from the book went to the organisation run by the teacher in the aforementioned film. And that film is very much the fulcrum of the campaign. The film opens with a ‘survey says’: apparently one in five children has never seen the ocean. It then follows the day job of teacher Tom Franklin as he goes about educating inner-city kids about plastic waste in the oceans and taking them to experience the sea for the first time, hopefully then inspiring them to become more engaged in the fight against plastic. There is no mistaking the craft behind this film. It looks great, it’s designed to pull at the heartstrings and it weaves the vehicle into the film in a way that feels natural, and that alone stands it apart from the stilted feeling of many car advertisements. A cast of real people (I think) gives it authenticity and sincerity and its subject matter is undoubtedly timely. The partnership with Sky Atlantic guarantees a platform to spread the message to a relevant audience. And the kids’ book looks great. No creative PR idea, mind, which seems like a missed opportunity to make the campaign more famous outside of the media partnership with Sky. In fact the only extension of the campaign in earned media was the announcement of the company’s plastic pledges. My initial reaction to seeing this campaign was that Volvo had just jumped on the plastics cause and had attached itself to a social and environmental issue that it didn’t have a natural fit with. But as I read more about Volvo’s plastics pledges and the way the company is leading the charge in the automotive industry for using more recycled plastics in car manufacturing then I was admittedly much less cynical. 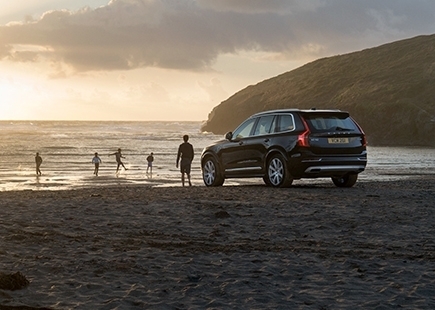 Promising to use a minimum percentage of recycled plastics in its cars and removing single-use plastics from the offices and workspaces of 38,000 employees gives Volvo a certain amount permission to create an ocean clean-up campaign. Nevertheless, it does beg the question of whether Volvo’s ambition goes far enough? 25% of plastic in its cars to come from recycled sources by 2025. It still means as much as 75% of the plastics in its cars coming from non-recycled sources. And at the moment it’s 95%. If the company urgently wants to help prevent single-use and other harmful plastics from getting into the oceans then should it not be pledging to make a higher percentage of its cars from such materials? And immediately investing in measures to divert these plastics from landfill and into the recycling system to ensure they are more likely to end up as components in Volvo cars? Perhaps. But whether or not that is practically possible right now I can’t say. So I’ll stick to the creative for this review. And judging the campaign on the creative alone, it’s hard to argue that it isn’t a moving piece of moving image with a powerful message about the importance of inspiring all children to become guardians of the oceans and environment (summed up nicely with the closing quote lifted from Aldous Huxley’s book A Brave New World). And frankly, given the scale of the plastics problem, the more organisations publicly doing something about it is arguably a good thing.